Olympic Studios Apartments uses solar panels to generate electricity for common area loads such as lobbies, laundry, and garages. The US Conference of Mayors honored Santa Monica with a US Mayors’ Climate Protection Award for its successful Solar Santa Monica initiative. Solar Santa Monica has helped Santa Monica residents and businesses convert their homes and commercial buildings to solar power for nearly a decade. Adopting green energy sources like solar power is a key component in Santa Monica efforts to reduce citywide greenhouse gas emissions. The City received the award in the small cities category on Friday, June 19 at the U.S. Conference of Mayors (USCM) 83rd Annual Meeting in San Francisco. “Santa Monica is being recognized because we’ve done more than just study climate change — we’ve taken action to slow it, and to protect our community from the impacts,” said Mayor Kevin McKeown. With less than 1 percent of the City’s solar potential tapped, the City decided to create a program to stimulate installations, to help home and business owners, as well as the college, schools, and all others to invest in solar. Solar Santa Monica was created by the City in 2006 to focus on energy efficiencies and growing solar energy use in the community, offers technical assistance to prospective residents and businesses by evaluating solar potential, navigating regulatory and rate changes, identifying financial mechanisms, vetting contractors and evaluating bids. In its first year, Solar Santa Monica doubled solar capacity in the City. Since the program inception, Santa Monica has seen solar capacity increase twelve-fold increase from 376 kW to 4,656 kW as of the first quarter of 2015, enough energy to power over 1,170 California homes. To date, community-installed solar has reduced annual emissions by 2,584 MTCO2e (equivalent of the average car circling the earth 267 times), helping the City of Santa Monica to achieve its 2015 target of reducing city-wide emissions by 15% from the 1990 baseline. Solar Santa Monica exemplifies how Santa Monica’s Office of Sustainability and the Environment helps to connect residents and businesses with smart energy solutions. The program has helped residents, businesses and academic institutions go solar by reducing the anxiety and risk to the prospective consumer. The prevalence of solar technology throughout the community has continued to reinforce Santa Monica’s commitment to being a leader in sustainability. 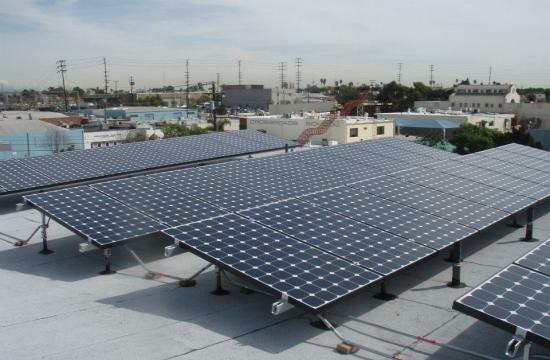 The result is Solar Santa Monica is a valued resource and recognizable brand in the community. The award was presented during the Mayors Climate Protection Luncheon with an audience of nearly 300 of the nation’s mayors attending the USCM Annual Meeting. The work of the Mayors’ National Climate Action Agenda in the U.S. is a global cooperative effort among mayors and city officials working towards the reduction of local greenhouse gas emissions, enhancing resilience to climate change, and tracking progress transparently. To learn more about Solar Santa Monica, visit www.solarsantamonica.com.